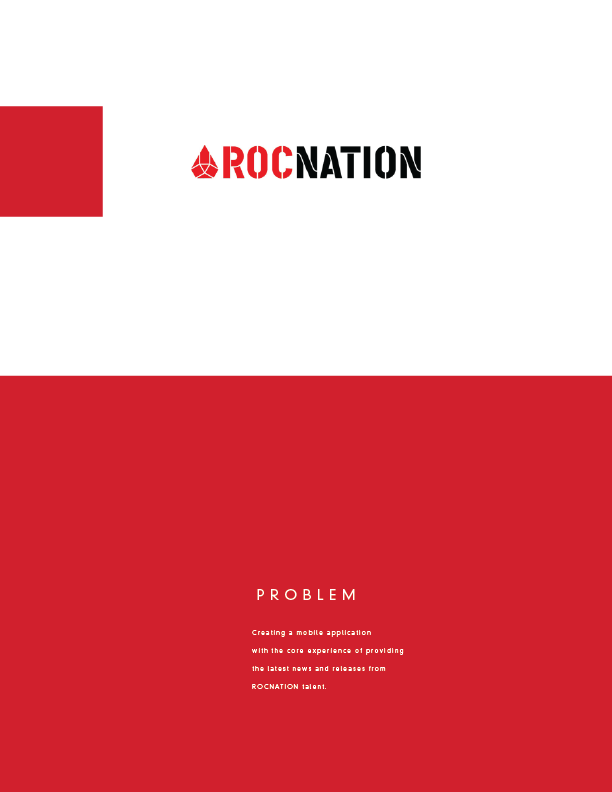 To better connect with the Rocnation brand, a mobile app was designed to replace the current responsive website that exists today. 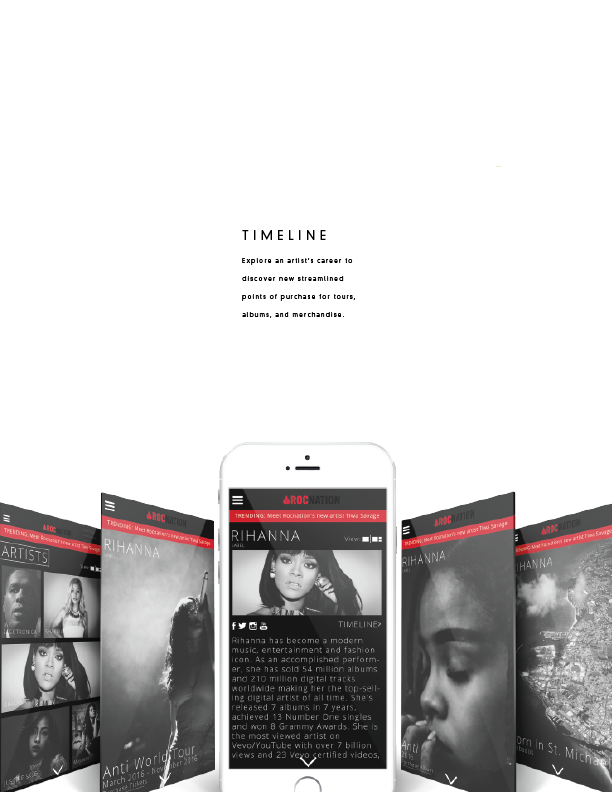 Micro experiences serve as memorable touch points for the user interaction with the brand while also providing new opportunities for content and creation of new purchase funnels via the Timeline concept. 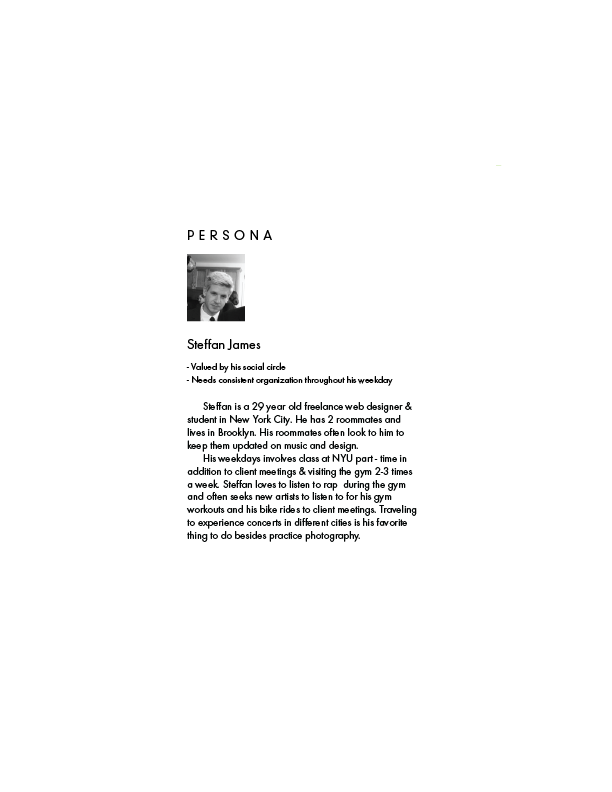 With a significant roster of clientele, a user can choose the way that best fits how they want to view the information displayed on screen.